The professor was ill with a crazy fever and throat infection, the little dude had a bad cold and on Wednesday I was flattened by a migraine, the after-effects of which lingered for a couple of days. At least there was a royal wedding to amuse on Saturday. Outwith the house of lurgy, I lost another 0.5lb at Slimming World bringing my total to -12.5lbs. I wish I'd lost a bit more, but considering how hit and miss I've been with sticking to the plan the last few weeks losing anything is a huge plus! Book One in the Chicagoland Vampires and I really liked it! 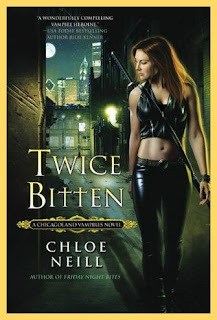 Book two in the Chicagoland Vampires and I liked this one too! Definitely going to continue working my way through this series. Oh, I loved this one! Action, shapeshifters and some delicious romantic drama! I ramble about my hesitancy about this book below but I'm glad the last book didn't put me off for this was my favourite so far. Much, MUCH, better than the mess of the last one, which to be fair was mostly the editing's fault. Now I'm excited to read book four at some point soon! 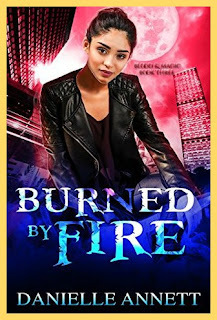 I was going to wait to see if it released on KU after the absolute shambles of alleged editing in the last book but, as I said in by Kissed by Fire review, I'm a glutton for punishment and I'm too curious for my own good. Plus, the author has posted a lot in the last few days about 'reports of poor editing' and stating the errors have been corrected and a new copy uploaded so we'll see if it has been corrected and we'll see if it applies to this new one too! I saw this post from Dani at Perspective of a Writer - 5 Cold, Hard Facts About Commenting Back - and felt the need to share it. I love returning comments to those who comment on my blog. I also love visiting blogs I like, reading the posts and leaving comments independently of 'commenting back' but sometimes life gets in the way, I'm not online much, and then I feel guilty about missing comments or not commenting regularly. Therefore, I'm going to employ the notebook and set aside a half hour everyday to just sit with a brew and visit. I'm trying Dark Romance and have read 3 so far. I'm aiming for 104 and I've currently read 34. That puts me 5 behind schedule. TV watching consisted of S2 of Sons of Anarchy. Movie watching was The Last Jedi. Lets see... I have a RDL for Vi Keeland and Penelope Ward's latest joint novel. I have a cover reveal for Ginger Scott's upcoming release, Cry Baby, and I'll be posting a couple of reviews. If I have the time, I'll also try jump onto one of the weekly memes. Half an hour is a good goal for commenting back to blogs. 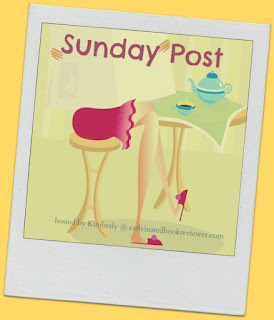 This may surprise you but I didn't know the art of getting readers to your blog through blog hops and stuff until I had already been blogging for four years. Guess I was blogging for myself...I didn't mind, I wrote in a journal as kid and found the art of reflecting very helpful. Any weight loss is a positive thing. You're doing great! Sorry to hear everyone was ill. Hope you all are feeling better. I commented on blogs before I was a blogger, but I like to have something meaningful to say, not a throwaway comment. I agree Sam! I read a lot of posts, enjoy them but then I'm at a loss beyond a 'sounds good' or whatever. I wish there was a post like button or something that could let people know you where there and enjoyed a post but just didn't have anything to say, lol. I hope everyone is feeling better. Replying back and commenting is a big commitment, and something I do on the daily, but occasionally life gets in the way. I use to feel terribly guilty, even took my laptop on vacy to comment..but now I unplug when I need to. Have a great week. Thanks Mary, we're on the mend! Hope everyone is feeling better :) Commenting and commenting back is definitely a time commitment and one that we all struggle with occasionally. I just try to set aside a little time every day (or every other day) to check in, and not feel too guilty about not constantly monitoring things :) Hope you have a great week! Thanks JJ. I think I just need to get in a rhythm with it. Wow, what a week for illnesses. I hope all are feeling better. And what a fun bunch of books. I'd like to try the series and I think I have the first book. I like doing tours and memes and have met some wonderful fellow word lovers. I still get excited when someone visits and comments on my blog and it's been six years since I started. It doesn't get old! On my previous blog, I never had comments... This way is much more fun and enjoyable! Congrats on the weight loss. I hope you feel better soon. Commenting back is tough. I try to do it every day, but it doesn’t always happen. Have a good week! Sorry you had to struggle through a migrane. Sounds like you are doing well on losing weight. 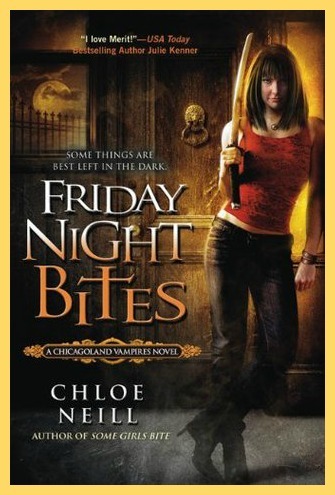 The Chloe Neill books look interesting. Thanks for visiting me and Happy Reading! The Chloe Neill books are really good, I recommend them! The Chicagoland Vampires books do look like a lot of fun! And yes commenting back can be tough, there are so many great blogs and time is of course limited. I just try to do the best I can. All we can do. So you were actually binging on the the Chicagoland Vampires :D I need to check out your reviews! Never feel like you have to comment back. I'm happy if you do but life gets in the way often. I know that well. I'm having a hard time keeping up too. Just a mini binge! I cut myself off after book 3 and read some other things to break it up... I'll be reading the next three books next week though! Oh gosh, I'm sorry the whole family had some sort of illness to deal with. I hope you are all feeling better. I'll have to check out that commenting back post. I hope that everyone is doing better now. It seems like there's all sorts of stuff going around lately. I came down with something yesterday. I woke up feeling a little off, thought nothing of it, and then at lunch time I wound up in the fetal position on the couch for the rest of the day feeling so cold and achy. Looks like you have a lot of good reading this past week. 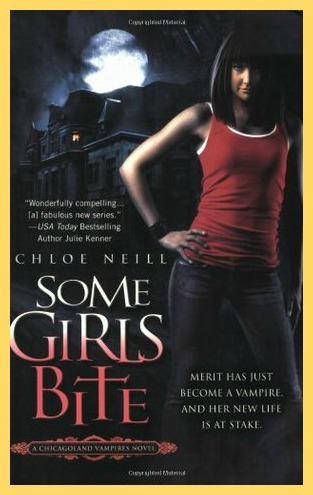 I have only read up until the 4th book in the Chicagoland Vampires, but I really need to get to it and read it. Especially since I just saw that the author is doing a spin-off from this series. I've really enjoyed them so far. 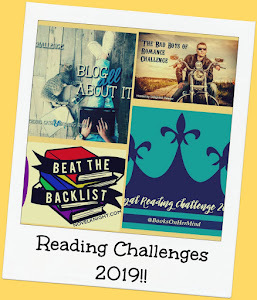 Next week I plan on reading books 4-6. I'm trying to be good and break up the series. I hope you're feeling better! It's so annoying when something comes along a knocks you off your feet unexpectedly like that. Why is everyone getting sick????? Gah - hope he's feeling better now. I do pretty well with commenting. I have my regular peeps on a bookmark list and visit for about 1/2 hour a day and then try to thrown in a few new people every week. I really need to make an easy to click through list. I usually rely on memory and I shouldn't because I frequently forget things. I loved my reading week! I like the nice and effortless reading weeks. Keeping up with commenting is hard. I really try, but these past few weeks, I have been so busy that I have been able to do it two to three times a week. I feel guilty, but then I know everyone understands. It will only get worse as summer hits, but I try. I do always return comments, sometimes it isn’t timely, but hey it gets done! Hope you have a lovely week. Sorry you had a migraine and your little one was sick--no fun! I try to respond to comments on my blogs posts throughout the day, and then make time 3-4 times a week to comment back. It's so hard to visit every blog every day. I just don't have the time because my family comes first. I want to spend all the time I can with them, and then I do my blogging stuff for me when it doesn't interfere with them. You should be happy you accomplish what you do, and no one should judge you for it. We try to make it work how we can, and even stopping by once a week lets someone know you care and made an effort. Thanks Lindsi! I think I just need to be less hard on myself. Have a great time with the challenges.